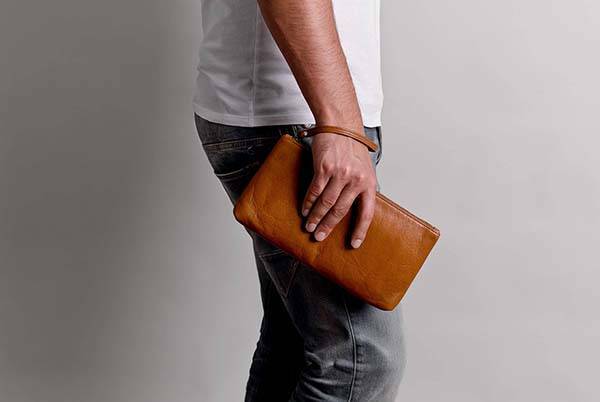 This is a beautifully designed and versatile leather pouch handmade by Hardwers, a small handicraft studio from Russia. The leather bag measures 10.6 x 5.5 x 1.2 inches, and as shown in the images, the bag sports a minimalistic and graceful appearance design along with two classic and gorgeous color options. Meanwhile, its exterior is made from quality genuine leather for durability and luxurious aesthetics, and the metallic hardware complements to the stylish look. 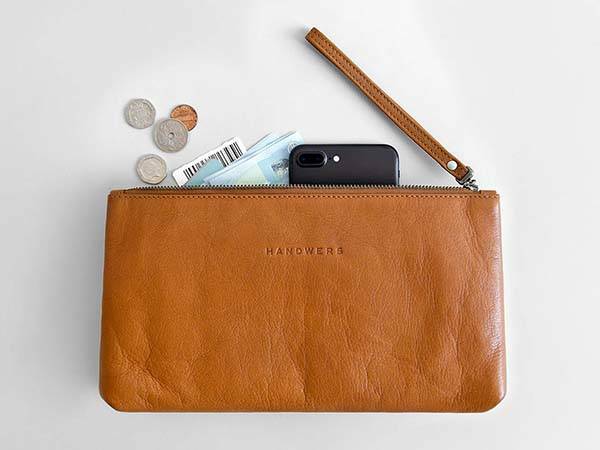 The compact leather pouch has two open compartments and one hidden under the zipper in order to keep your small items organized like smartphone, credit cards, bills and more. Furthermore, its 100% cotton fabric interior ensures it gently holds your belongs, and its YKK zipper keeps them in place wherever you go. In addition, the integrated leather strap allows you to keep it staying on your wrist for easy and safe carrying. And it also serves as a toiletry bag or makeup bag. 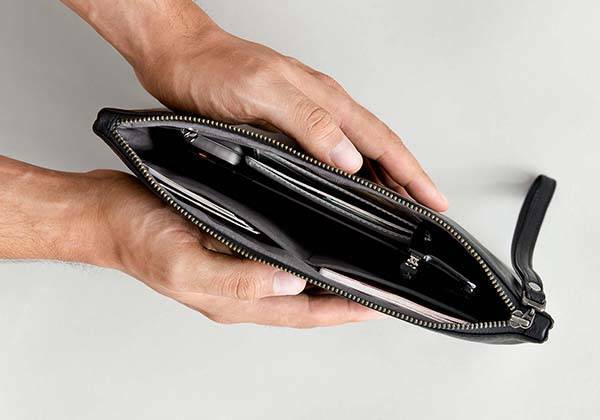 The handmade compact leather pouch is priced at $94/$112 USD. If you’re interested, jump to Etsy for its more details.